Natural Deodorant Protection! 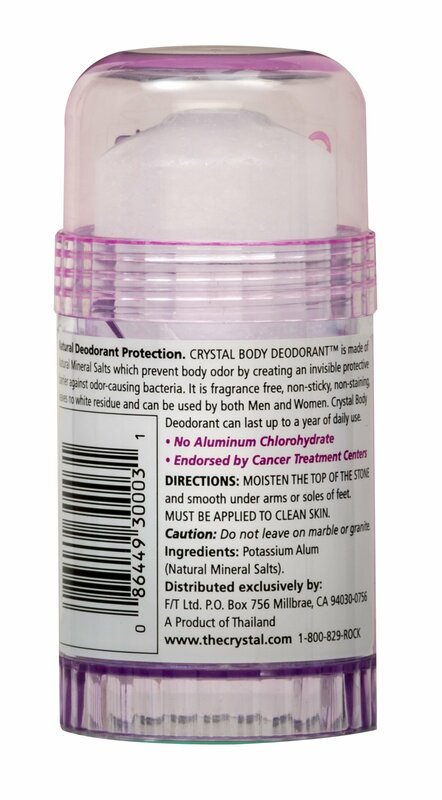 Crystal Body Deodorant® is made of Natural Mineral Salts which prevent body odor by creating an invisible protective barrier against odor-causing bacteria. It is fragrance free, non-sticky, non-staining, leaves no white residue and can be used by both men and women.